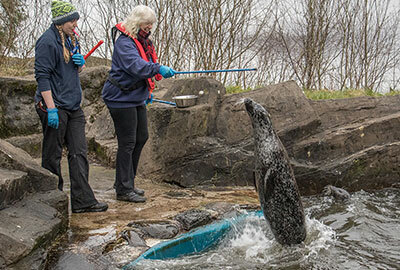 Following some much needed refurbishment work on the seal pools, at the beginning of February 2018, Boo returned from his holiday at Scarborough SEA LIFE Sanctuary and Lora, Pippa and Macey returned from their girly trip to Hunstanton SEA LIFE Sanctuary in Norfolk. 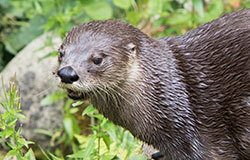 Lewis, the resident Otter, and Anna, the Aquarist, appeared on CBeebies´s Ferne and Rory´s vet tales in January 2018. 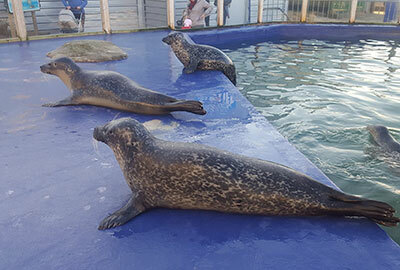 Would you like to interact with the beautiful resident seals, Pippa, Lora, Macey and Boo, during your visit? 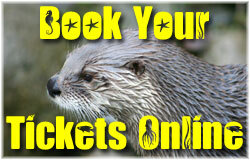 Click here for more details to book an unforgettable twenty minutes Seal Feeding Experience! 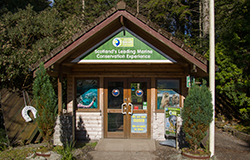 This link will take you through to Merlin Entertainments´ official Scottish SEA LIFE Sanctuary website. To avoid disappointment, please contact the Sanctuary direct on 01631 720386 prior to booking your Seal Feeding Experience to make sure there are places available. Remember Only two people per feeding session. During the pupping season, if you are visiting the coast around Scotland, you may well see newborn pups, can we remind you that these pups may look cute, but they have sharp teeth that carry harmful bacterial. 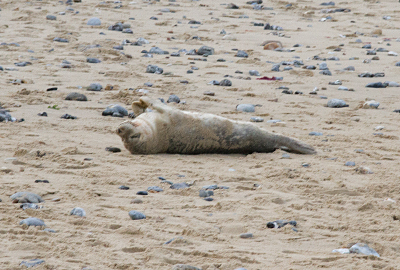 Also keep your dogs on leads when near seals. Click here to find out what to do if you discover a seal pup that is in distress or alone. Please...DO keep your distance; Do Not attempt to handle the pup; Do Not attempt to put the pup in the sea; Do Not ignore the situation; Do call the Sanctuary on 01631 720386 or tell an appropriate organisation. 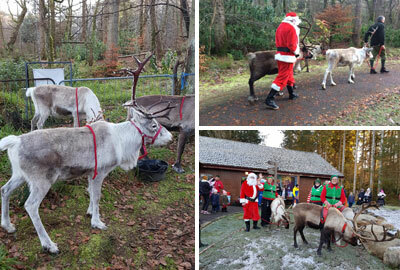 On Sunday 10th December 2017 the Scottish SEA LIFE Sanctuary produced an even more magical experience of Christmas with Rudolph and Co who paraded into the centre accompanied by Santa. They spent the day making lots of children and adults very happy! A special way to honour a birthday, special occasion or to commemorate the life of a loved one, while supporting an important cause. Friday, Saturday, Sunday & Monday only. Click here to download a printer friendly pdf version of the Sanctuary´s latest leaflet. A Frequent Question: I´m on holiday in the area and can´t print my entrance tickets. Answer: If you cannot bring a print out of your confirmation email then please make sure you write down the booking reference number and bring this with you along with some ID and the card used to make the booking. 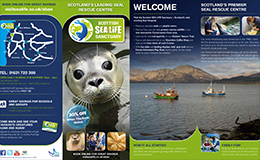 This news update has been put together by volunteers/supporters of the Scottish SEA LIFE Sanctuary.